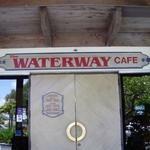 Waterway Café: The Waterway Cafe in Palm Beach Gardens, Florida is one of the few restaurants that allows access by both car and boat, and it is one of the best restaurants to enjoy a waterfront meal in the city. 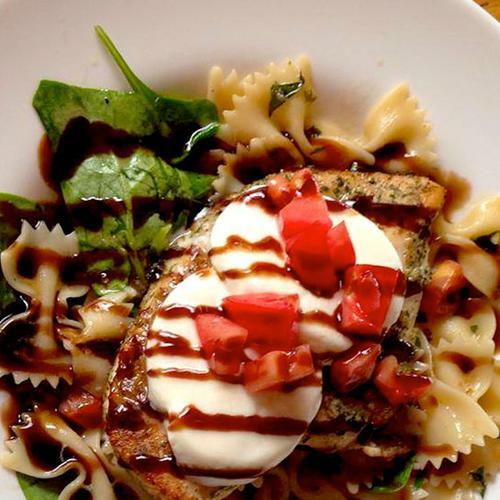 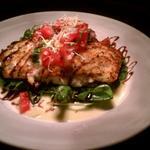 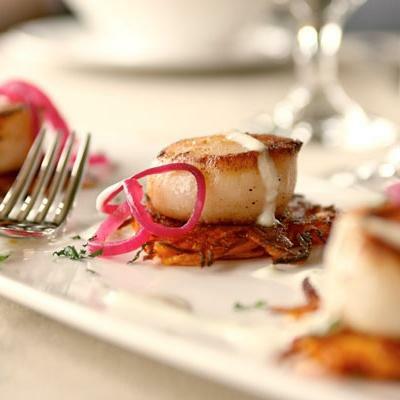 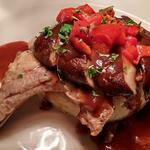 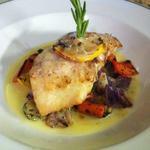 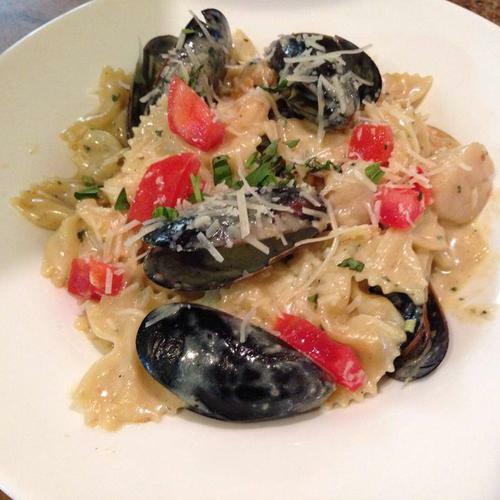 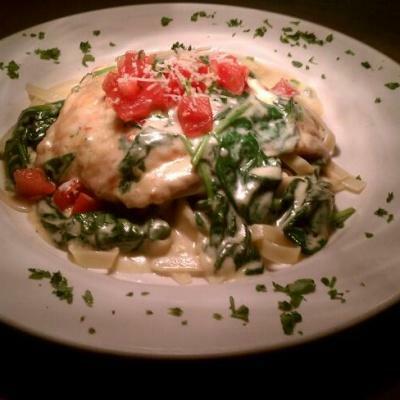 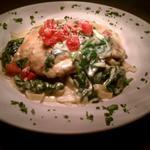 You may dine at Waterway Café with a 50% off dining certificate from CharityDine.com. 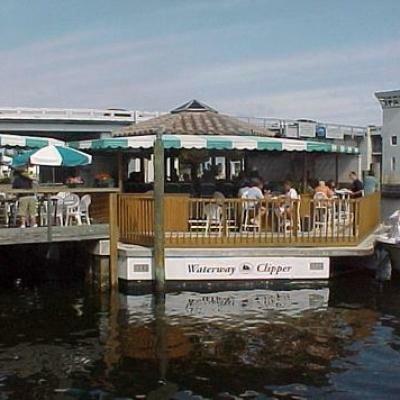 It’s the perfect place to take any visitors that you may have from out of town, as the ambiance and the unique experience of dining on the water cannot be matched by very many other restaurants. 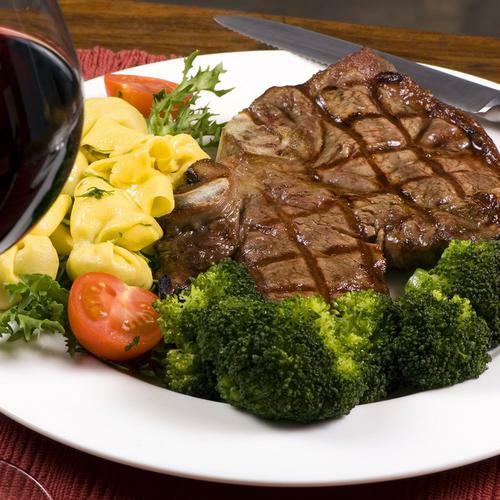 Most importantly, the food is very high quality, and you and your guests will enjoy dining at the restaurants both for the food and the experience of eating in a scenic environment. The restaurant is famous in Palm Beach Florida for its food and for its unique location, and if you live in the area or plan on traveling there it is a must-go. 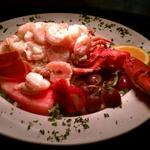 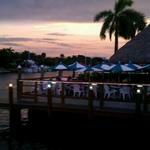 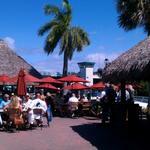 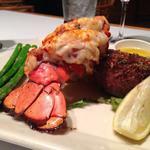 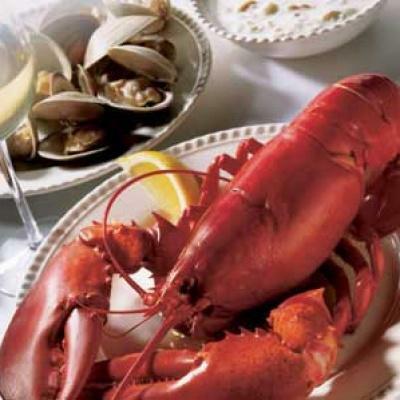 The restaurant was founded in 1986 and has been a fixture in Palm Beach for almost three decades. 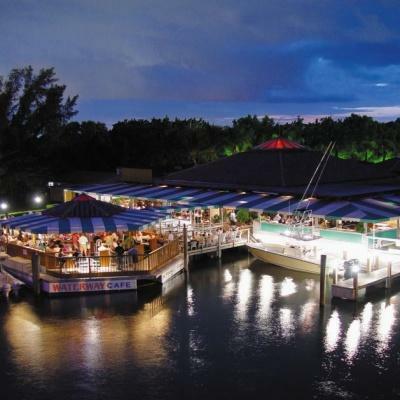 The restaurant has the only floating boat bar in Florida which is one of the unique features of the restaurant, and it has become a favorite of locals and travelers. 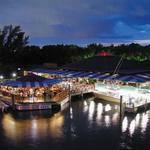 It is definitely worth visiting just to check out the floating boat bar, but the food is great. 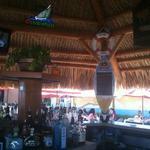 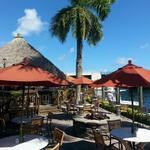 The restaurant features regular live music including reggae and individual artists on a rotating schedule. 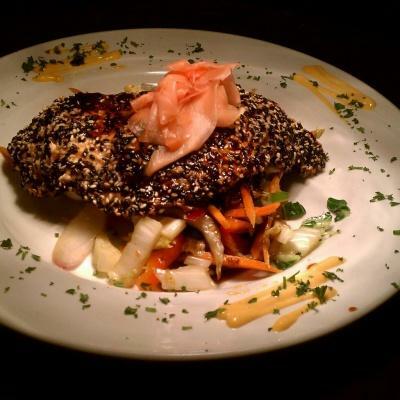 The ambiance and the upbeat atmosphere is hard to match at other restaurants, and it’s considered one of the best places to meet new people in the city as well as having one of the best happy hours. 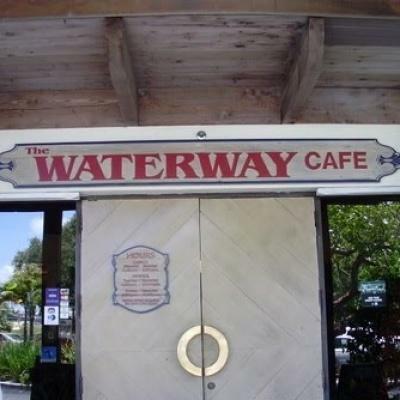 The lunch service at the Waterway Cafe in Palm Beach Gardens is very fast, and you can finish you lunch in under an hour so it is the perfect place to catch a meal for busy people. 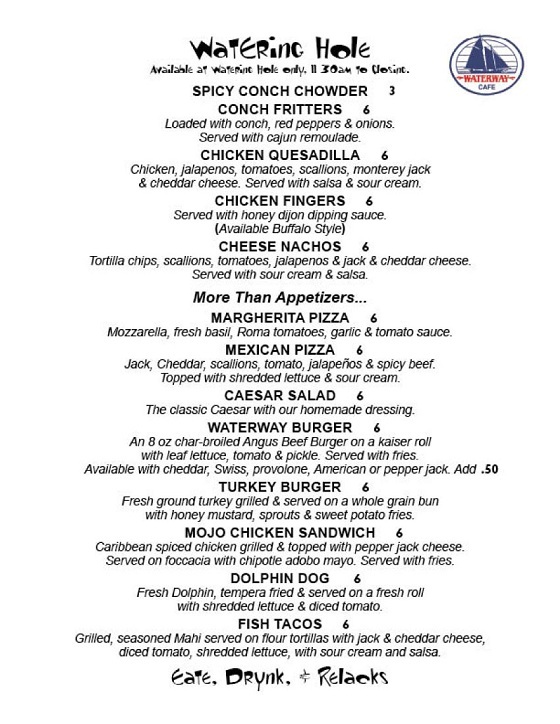 As an added bonus, with the Lunch Clipper Club you get every fifth lunch free at the restaurant. 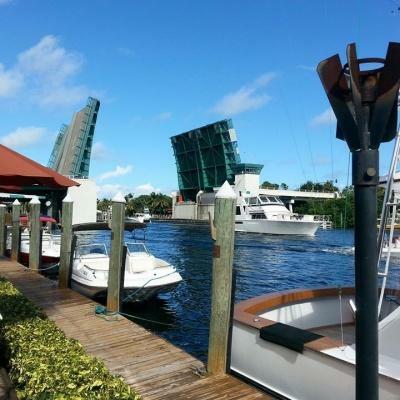 It’s the perfect place to get away for a while and enjoy the water, and the relaxing atmosphere and friendly service has made it a popular destination for locals. 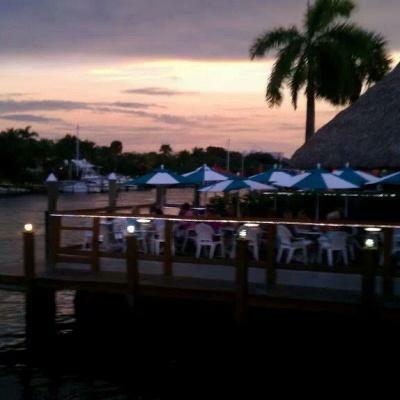 It is also a great restaurant to take a date as it offers a very romantic setting, and the happy hour offers a great way to meet new people. 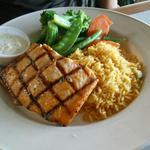 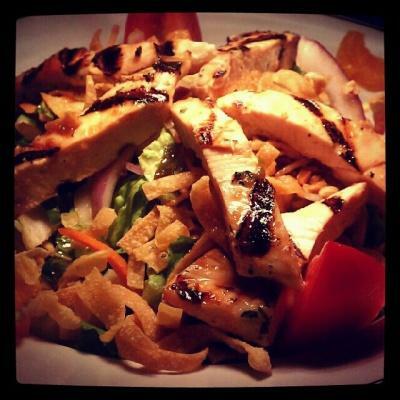 The staff is always friendly and you can trust that the food is always going to be fresh and delicious. 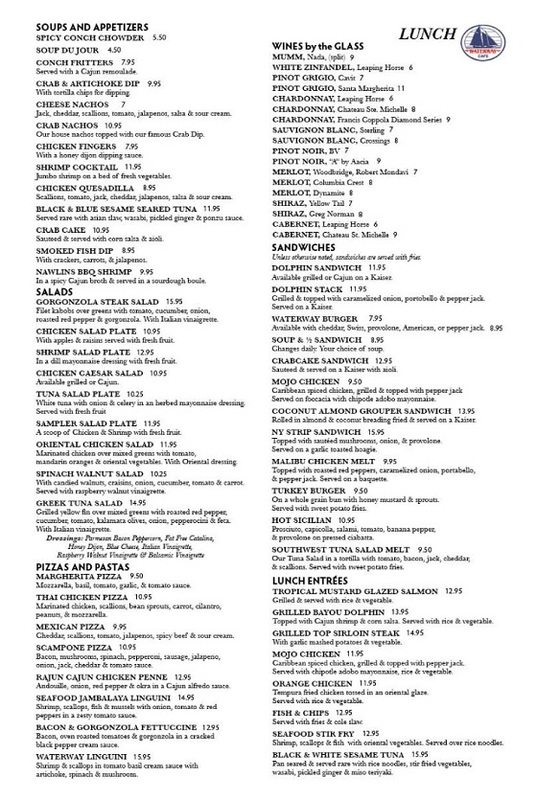 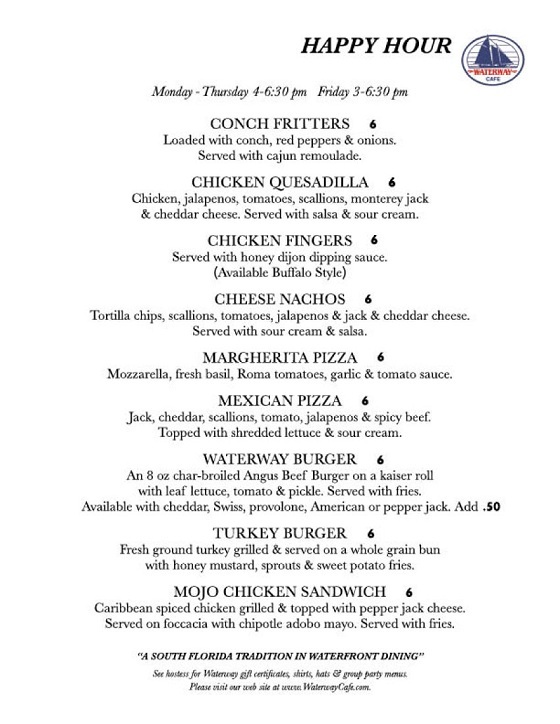 The Waterway Café features several different menu options including a lunch, dinner, twilight, happy hour, brunch and catering menu. 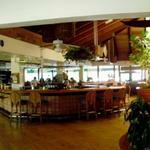 The Sunday brunch menu is very popular and Sundays are one of the busiest days at the restaurant. For brunch, there is a buffet served from 9:00 A.M. to 11:30 A.M. and the lunch menu is served from that point until 4:00 P.M. 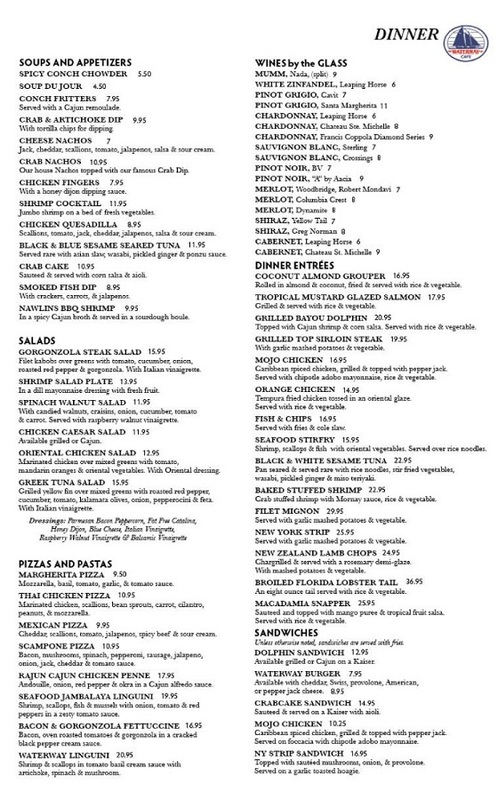 The buffet features several favorites include scrambled eggs, bacon, sausage, bagels, muffins, eggs benedict, arepas, Danish, cookies, cake, salad and more. There is also a carving station with roast turkey, beef and ham, and you can purchase a bottomless flute of mimosa as well as several other drink options.